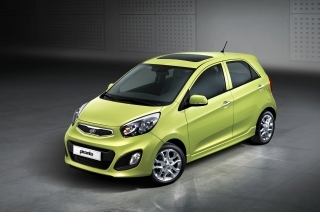 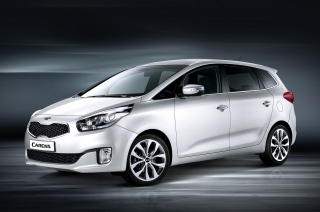 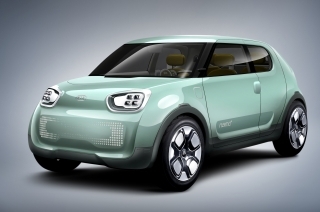 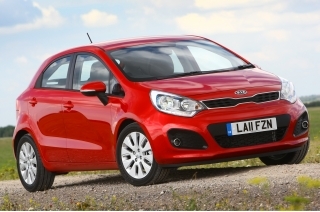 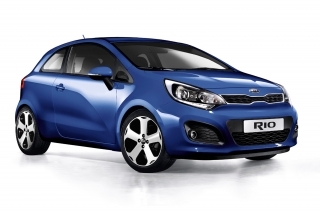 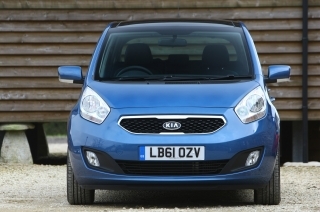 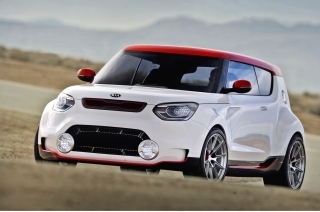 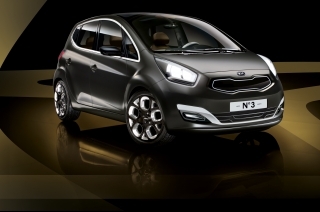 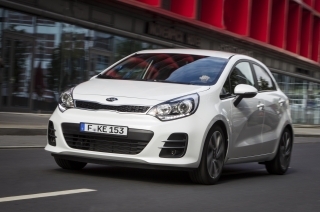 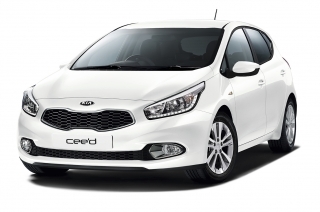 Kia's stylish new baby Rio combines supermini prices with cavernous carrying capacity. 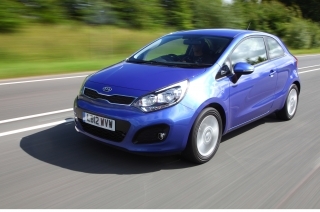 Keen pricing places the five-door Rio alongside three-door superminis, yet it can comfortably accommodate four or five adults and luggage. 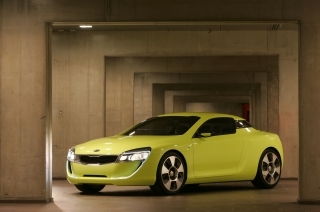 Rio reflects Kia's reputation for building affordable, no-nonsense but high-quality vehicles, an increasingly attractive proposition that made Kia the fastest-growing car company in the UK in 2000. 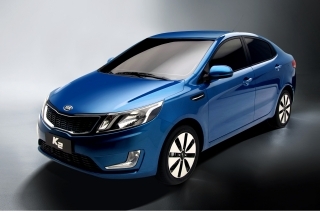 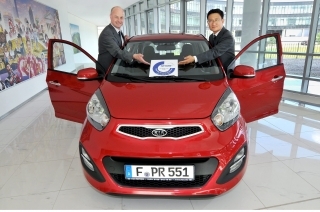 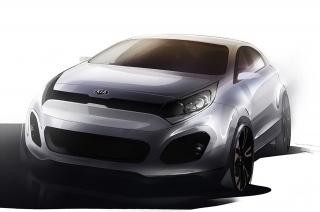 The Rio 1.3-litre and 1.5-litre hatchback will sit below the larger Shuma 1.6 hatchback in Kia's expanding car line-up. 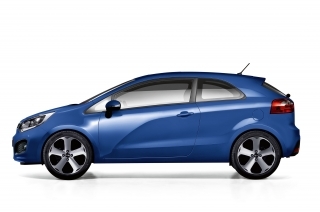 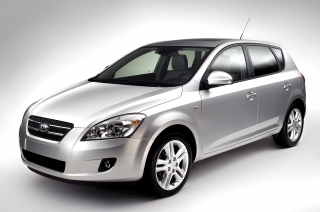 With prices ranging from £5995, Rio is a 'Focus or Astra size' car at a 'Fiesta or Corsa three-door' price. 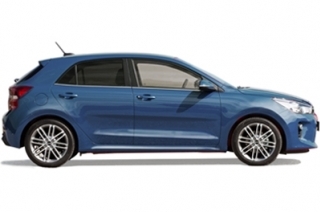 The top-ofthe-range 1.5SE, priced at £8995, comes with air conditioning, alloy wheels, rear roof spoiler, leather steering wheel and gear knob as well as ABS with EBD. 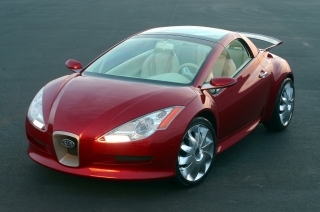 expensive cars. 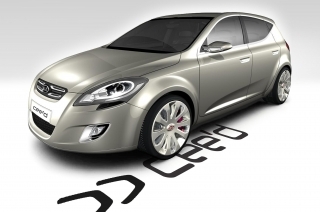 The initial capital outlay is smaller and the percentage reduction difference of a few percentage points from the best in class is therefore less significant to the true cost of ownership. 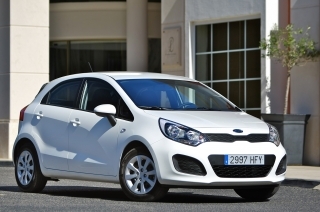 The Rio has a distinctive wedge-shape, with rounded haunches and attractive tear-shaped tail lights, which gives the car a very European look. 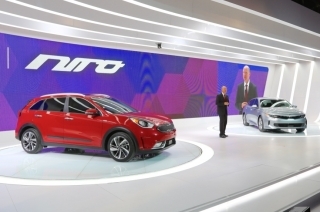 Inside, the Rio features ample headroom and legroom, and its higher-than-normal seats give the driver and passengers a commanding all-round view. 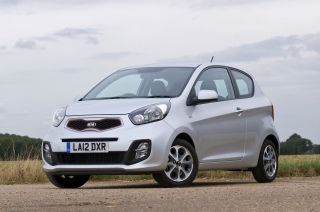 With a spacious load area and split/folding rear seats, giving a cavernous space of between 449 and 1277 litres, Rio is a very versatile and practical package. 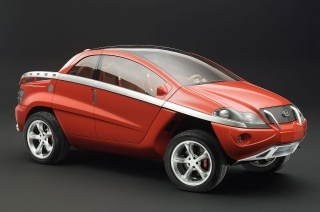 car at a budget they may not have thought possible. 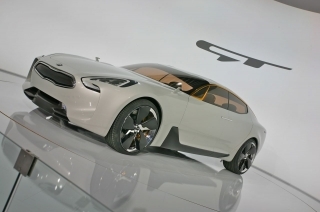 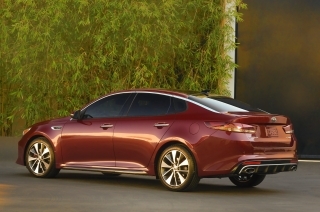 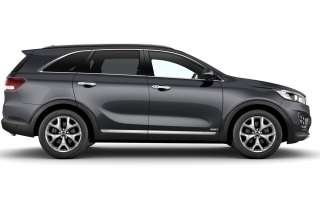 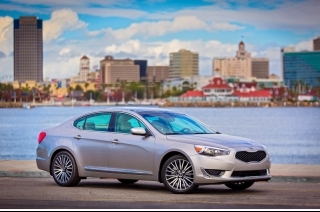 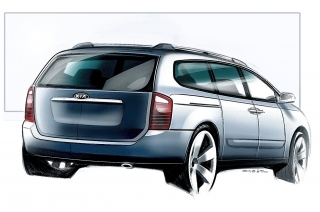 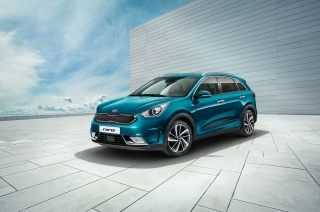 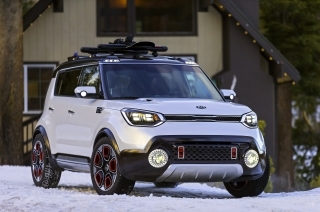 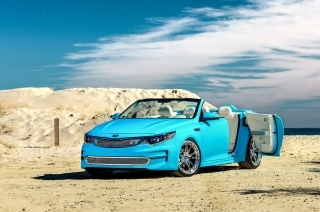 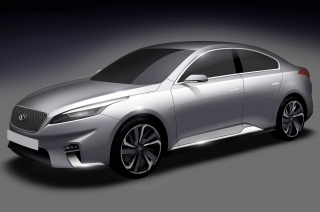 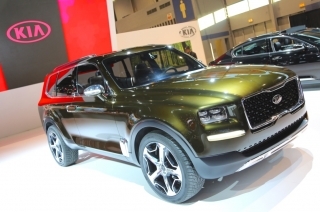 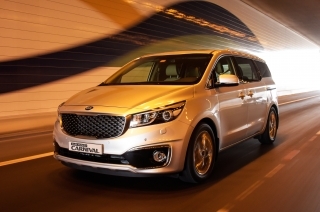 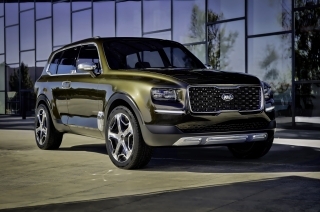 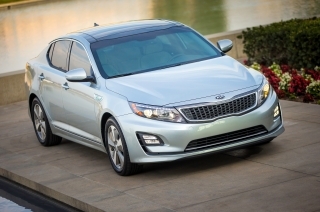 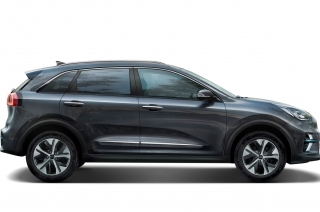 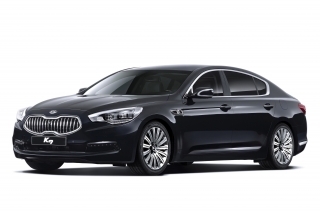 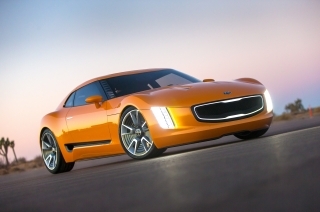 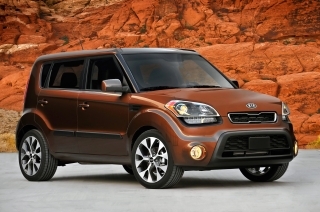 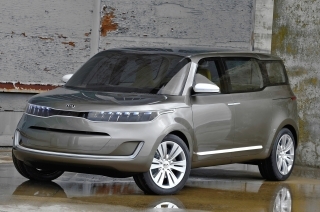 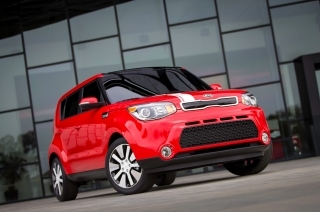 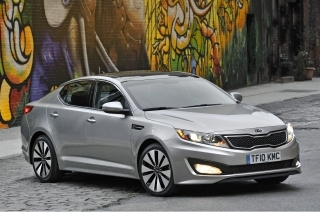 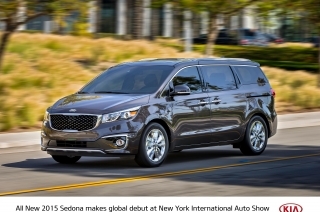 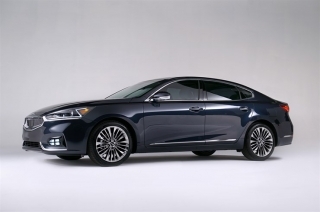 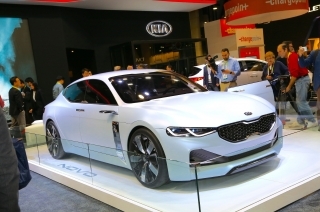 The appeal of this car will mean that the Kia customer profile is expected to get noticeably younger and more diverse, mirroring what has happened to Sedona and Carens. Conquest targets will be wide ranging including other less badge conscious brands including the European volume manufacturers as well as committed purchasers of cars from the Far East. 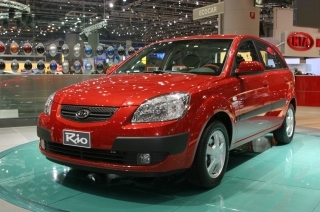 Customer clinics have compared the look and design of Rio positively with up-to-the-minute designs from European and Japanese manufacturers. 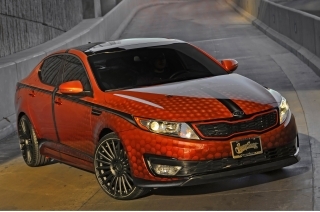 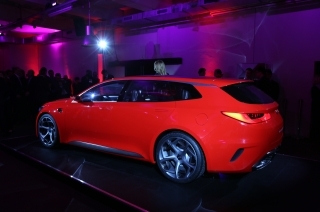 The car has proved to be a hit for style and value-for-money. 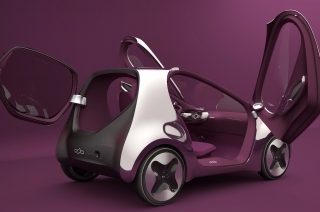 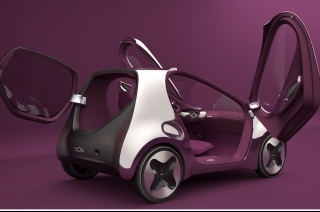 It has been especially popular with women who picked out the spaciousness, especially the size of the boot, and visibility, for greater confidence when driving and parking in congested city streets, as being key assets of the car. 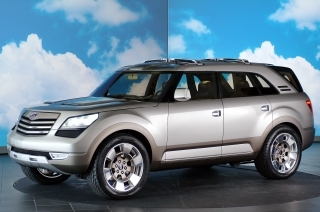 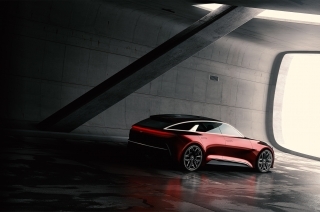 This evidence confirms the impression that the car has a very contemporary appearance alongside the usual virtues of reliability and robust build quality associated with cars from the Far East. 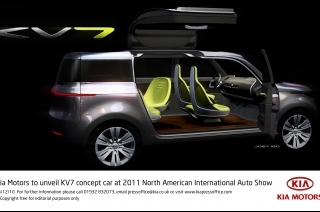 The interior is practical rather than flashy with the emphasis on durable fabrics and plastics able to sustain the rough and tumble of everyday use. 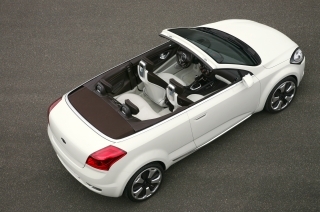 The driver's seat includes height adjustment (LX & SE only). 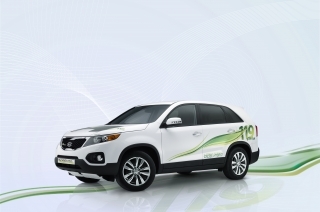 The instruments are housed in a simple and clear ergonomically designed dashboard, while the lightly weighted controls are exceptionally easy to use. 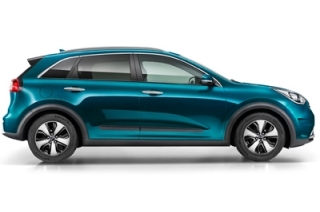 All Rios from the 1.3L and above offer a tilt adjustable steering wheel for greater comfort behind the steering wheel and a 60:40 split rear seat (all models) for those long and awkward loads, both features rarely offered on lower-priced superminis. 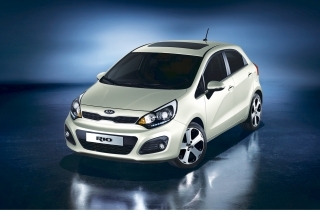 The Rio's compact exterior dimensions and large window area make parking easy with a turning circle of 9.4metres. 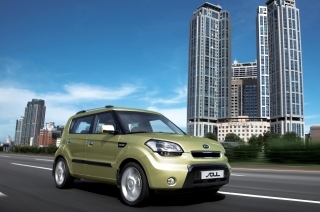 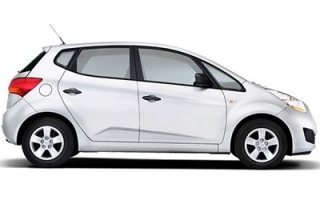 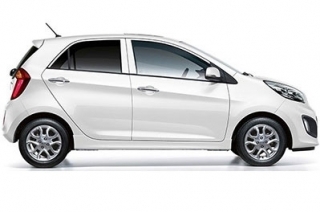 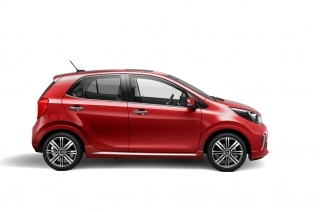 The Rio is 4215mm long and 1440mm tall for better headroom and convenient entry and exit from the car. 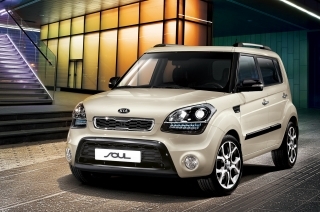 Visibility is also improved by the electrically-controlled and heated door mirrors (LX & SE). 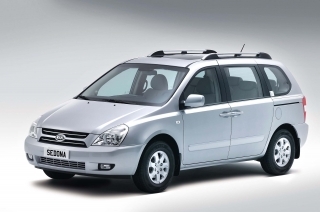 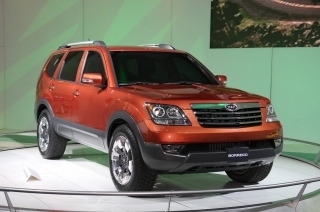 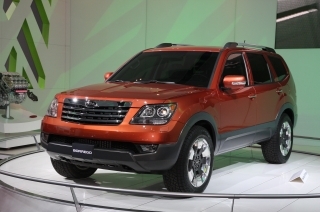 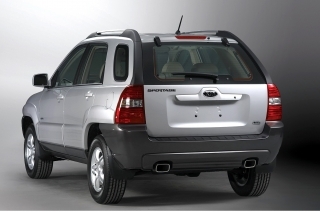 The 2410mm wheelbase contributes to the spaciousness of the interior as well as the comfortable ride of the car. 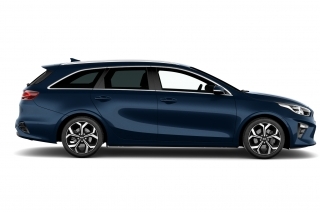 The independent MacPherson strut front suspension and elegantly simple torsion beam with coil springs rear suspension promotes safe handling. 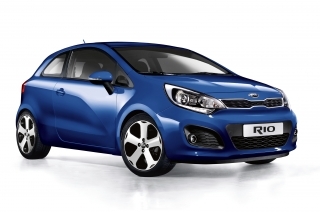 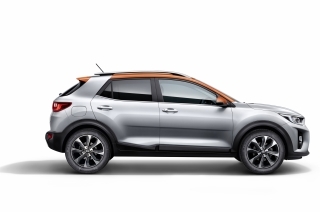 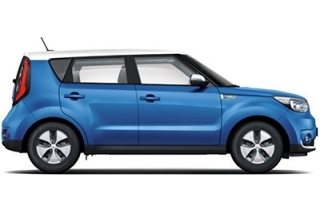 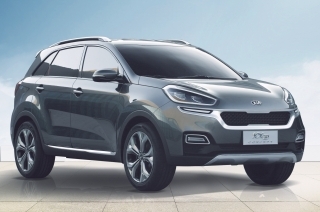 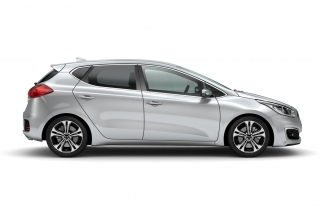 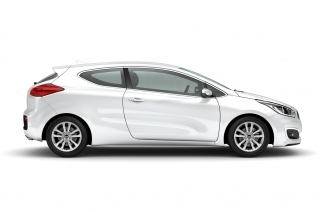 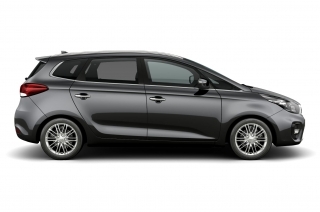 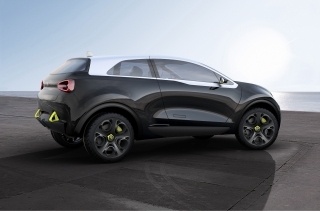 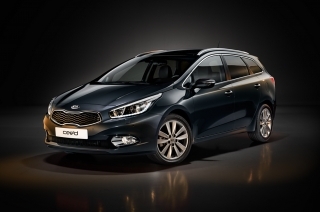 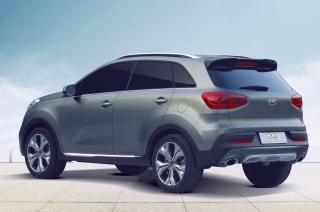 On the safety front, the Rio uses Kia's exclusive CIAS (Crush Impact Absorbing Structure) body design, which combines minimal weight with maximum strength. 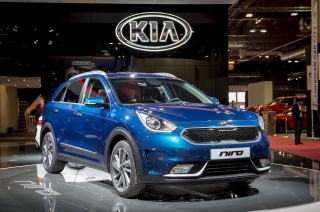 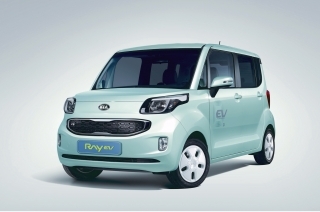 The driver's air bag in the Rio uses non-toxic gas and is depowered by 20-30% to reduce the possibility of incidental injury to shorter adults and the elderly. 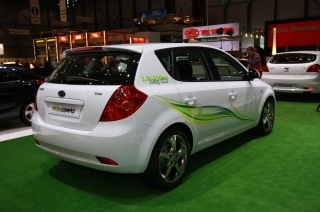 Stopping power is provided by ventilated front disc and rear drum brakes. 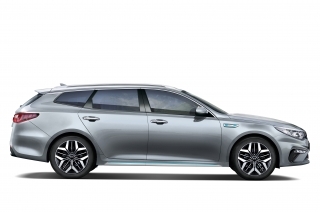 Four-channel anti-lock brakes featuring electronic brake force reduction (EBD), which automatically increases brake power to the rear wheels under heavy load conditions for superior stopping power are fitted to the LX & SE models. 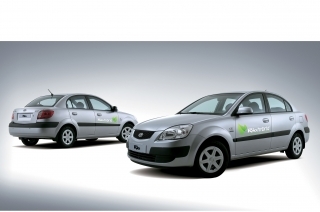 Few cars in this sector offer this as standard equipment. 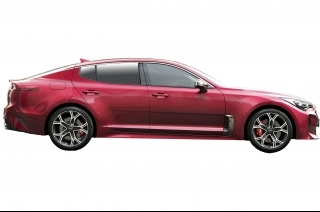 The all-new MI-Tech (Millennium Innovation Technology) 1.5-litre four-cylinder powerplant offers multi-port electronic fuel injection, double overhead camshafts and tuned intake and exhaust manifolds. 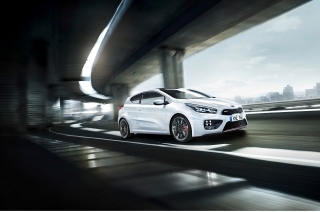 The 1.5-litre DOHC engine produces 97bhp @ 5,800rpm and 135Nm of torque at 4,500 rpm. 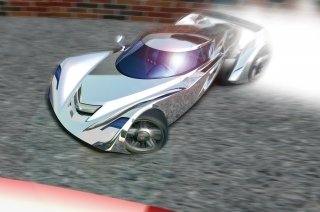 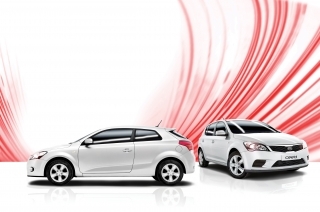 While the 1.3-litre Mi-Tech engine produces 74bhp at 5400rpm and 114Nm @ 3000rpm. 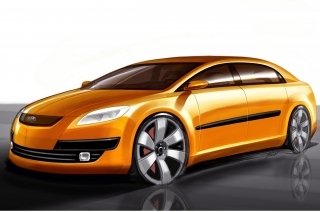 A five-speed manual transmission or an electronically controlled four-speed variable-force solenoid valve (VFS) automatic transmission is available. 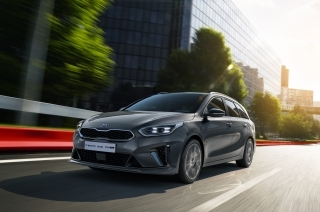 The automatic transmission offers a gear holding facility to prevent transmission 'hunting' on winding or hilly roads or in concertina style 'stop start' traffic conditions common on UK motorways. 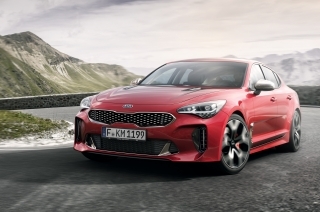 Performance is strong with the 1.5 accelerating from 0-62mph in a brisk 10.9 seconds (14.2 seconds for automatic) although the government combined fuel consumption is a healthy 38.7mpg (32.3mpg for automatic). 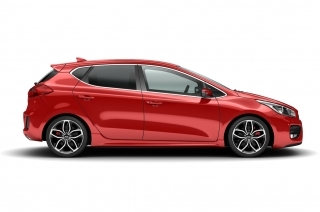 By comparison the 1.3-litre accelerates from 0-62mph in 12.9 seconds (18.2 seconds for automatic) and achieves a combined fuel consumption figure of 39.8mpg (35.3mpg for automatic). 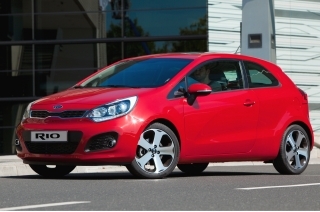 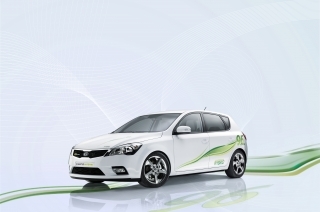 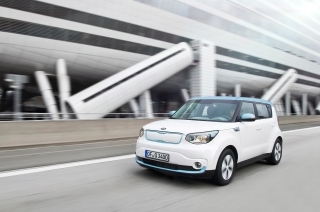 The 1.3 Rio has a carbon dioxide emissions figure of 170g/km, while the 1.5 is 174g/km. 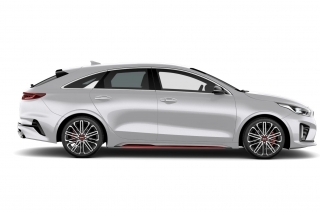 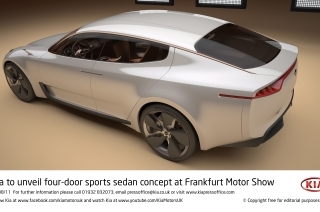 features the 97bhp DOHC engine, air conditioning, alloy wheels, rear roof spoiler, mud flaps, leather steering wheel and gear knob and heated mirrors. 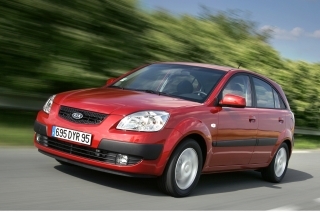 Automatic transmission is available on the 1.3LX and 1.5SE for an additional £750. 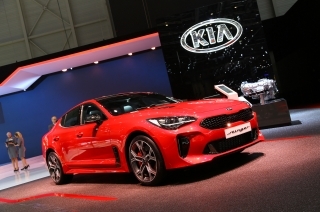 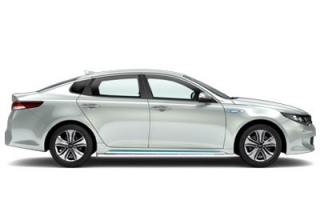 It is the first time that Kia has had a 1.3-litre car in the line-up since the Pride was discontinued in the early part of last year. 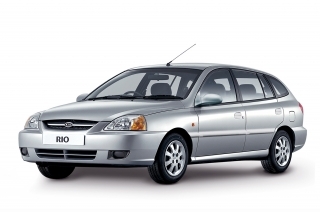 While the Rio is not a Pride replacement it should be noted that the 5dr LX sold for £7504 up until June 1999 when Kia became the first company to realign its prices to bring them more in line with Europe. 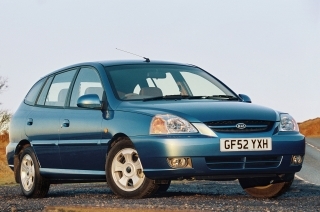 The car, re-designated SX was then priced at £6500. 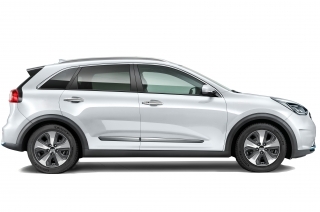 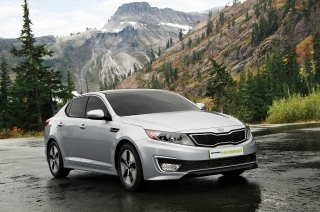 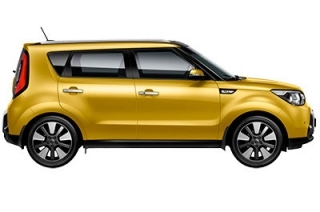 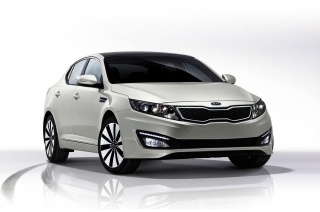 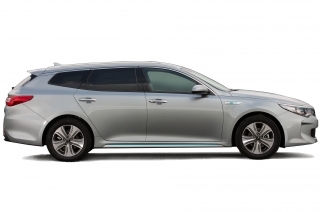 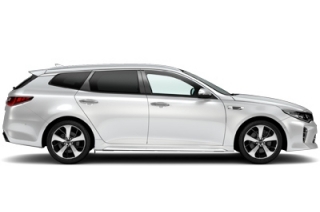 All Kia's benefit from a three-year/unlimited mileage warranty, six-year anti-perforation warranty and three-year's European roadside assistance for peace of mind when abroad. For further details go to www.kia.co.uk. 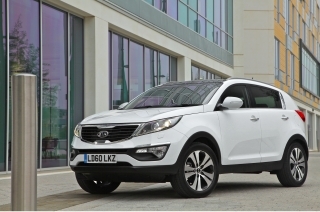 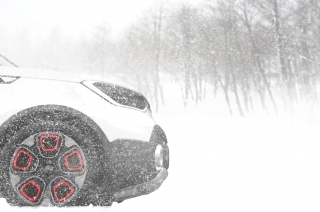 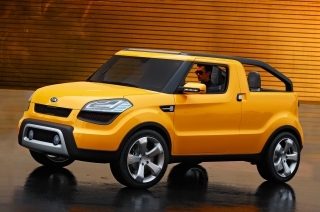 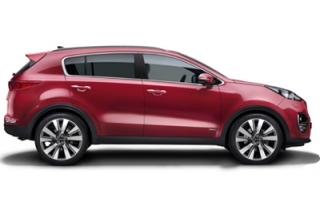 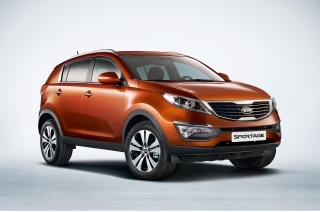 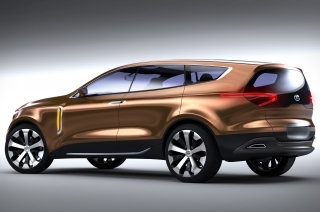 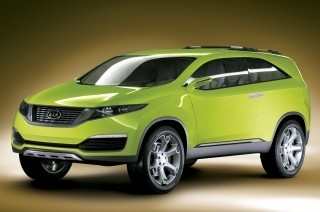 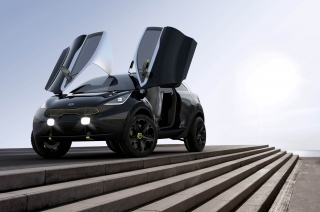 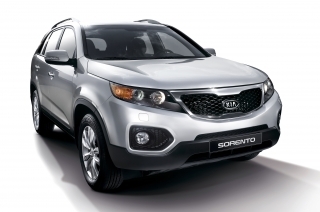 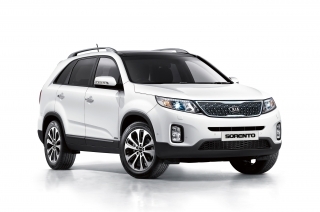 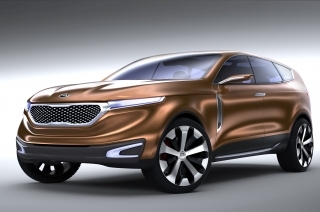 Kia is adding two special edition models to its line-up for spring, the Sportage TITAN and the Rio Ice. 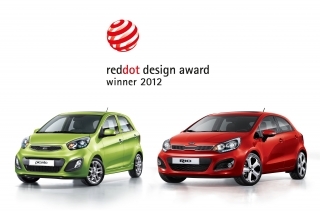 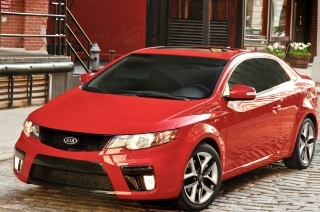 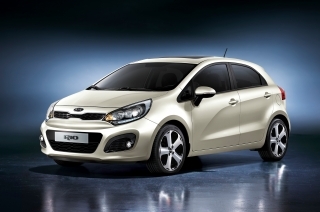 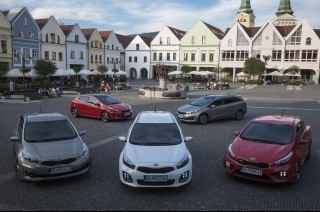 The all new Kia Rio arrives in Europe this summer to shake-up the hugely competitive ‘B' Segment. 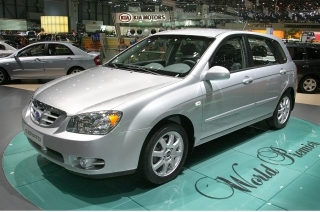 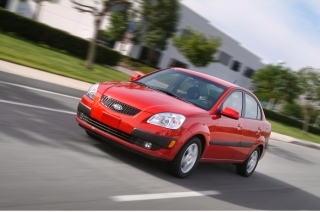 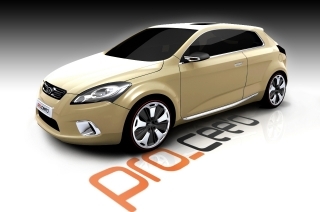 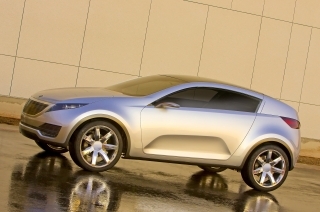 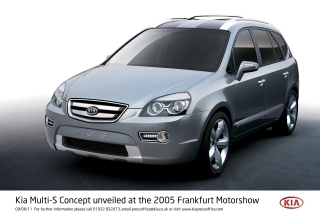 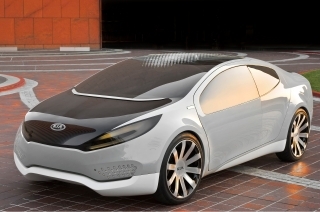 Kia Motors has revealed early details of its latest production model, the all-new Kia Rio five-door hatchback, which will make its World Premiere in Europe at the 75th Salon de L'Automobile in Geneva, Switzerland, on 1 March 2005. 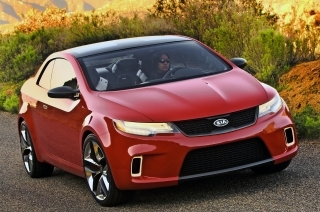 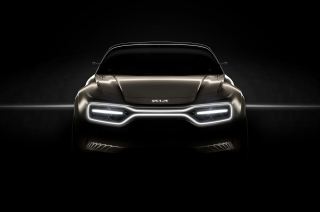 Kia's all-new Rio four-door sedan breaks cover at the North American International Auto Show in Detroit on 9 January. 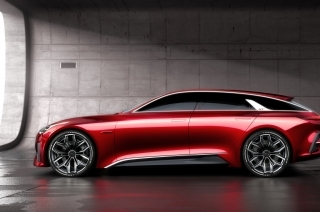 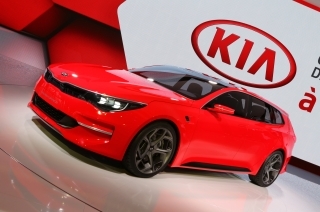 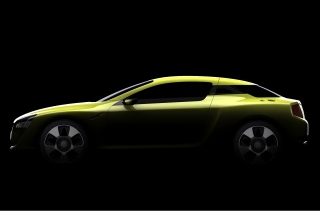 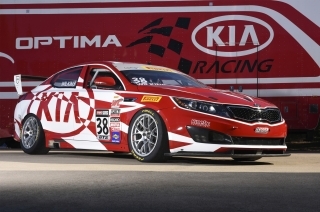 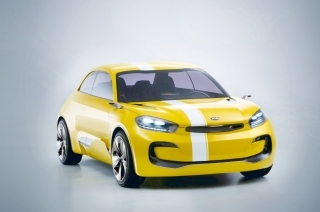 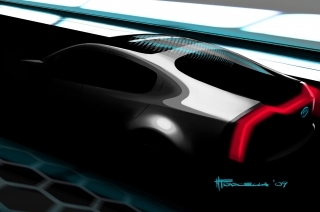 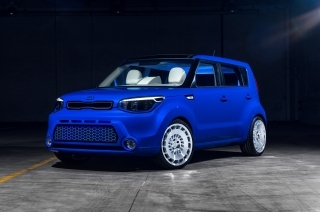 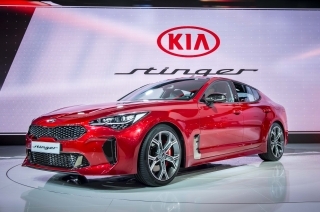 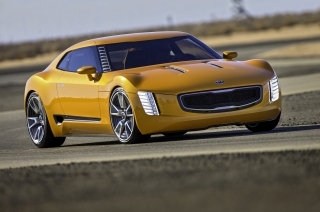 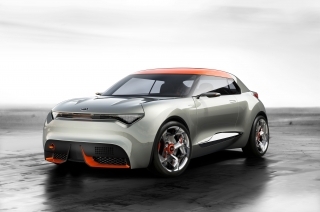 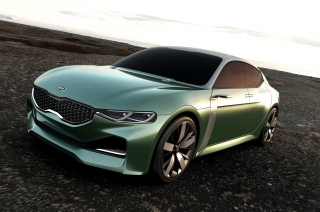 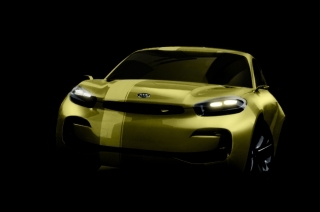 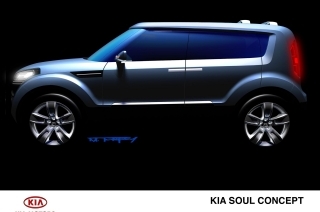 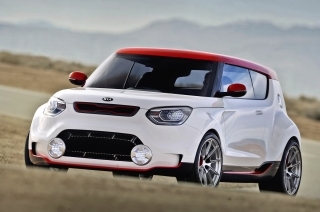 Kia Motors' important new supermini challenger - the eventual replacement for the current Rio - will make its first appearance in four-door sedan form at the North American International Motor Show in Detroit in January. 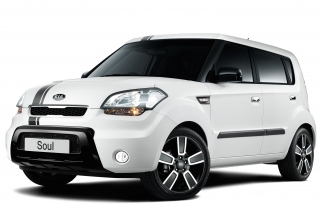 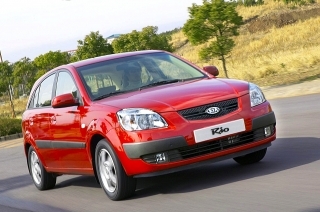 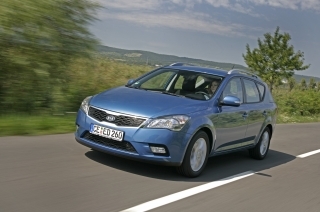 Kia's best selling car in the UK, the Rio, has been updated for 2004 and gained extra specification worth up to £1,000 in a revamp of the range. 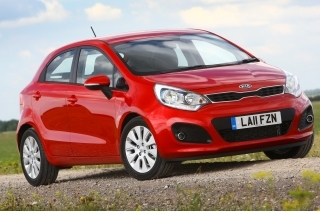 The latest Kia Rio features a higher quality interior and bolder exterior styling allied to sharper dynamics and improved refinement. 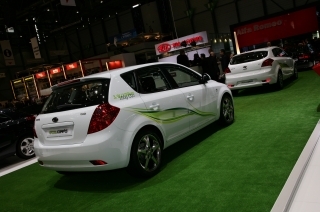 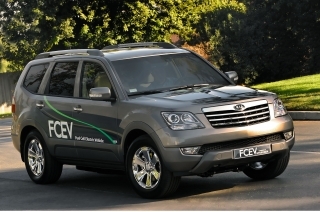 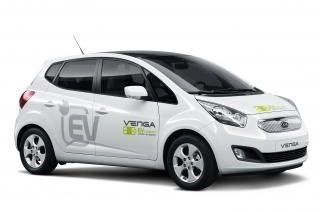 Fuel consumption has also been improved by between 5% and 8%.